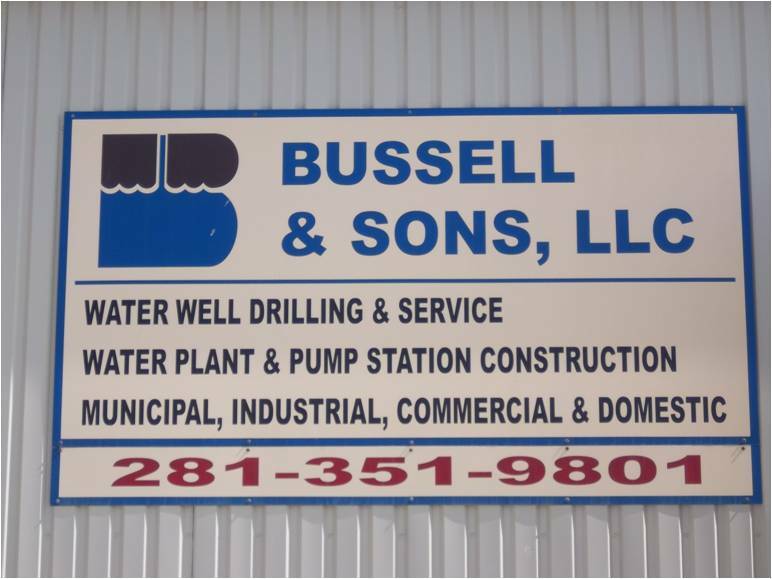 Bussell & Sons, LLC is a full service drilling and construction firm located in Tomball, Texas. We have been in continuous operation in the Houston and surrounding areas for over fifty eight years. Our experience includes thousands of production wells for municipal supply, industrial, irrigation and domestic use. We currently operate two drilling rigs with a third one being built now and three service rigs from our yard along with our utility construction operations. We provide turnkey water system design/build services to the customer. From engineering, consulting, and permitting, to drilling and construction of the complete water system. We have the capability to provide wells in a wide range of capacities through 1000+ gallons per minute. We provide a fully stocked and manned service department for maintenance and well work over. We are the only construction/drilling contractor presently providing, a “lease” purchase-financing plan to the developer. This ability provides additional resources to the owner for development and funding.